What better way to celebrate Canada Day, then with some patriotic shoes. With that said, this week’s DIY is DIY Canada Day Shoes. I have done Canada Day DIYs in the past, like shorts (Click here for the DIY Canada Day Shorts) but this year I wanted to do something a little different. Using a Pet Bandana I picked up as fabric from my local dollar store, these shoes were simple to make. Not only that but to also cover my horrible first attempt at DIYing these shoes. My first attempt was trying to draw on maple leafs, but when you’re horrible at drawing like me, it obviously doesn’t turn out well. 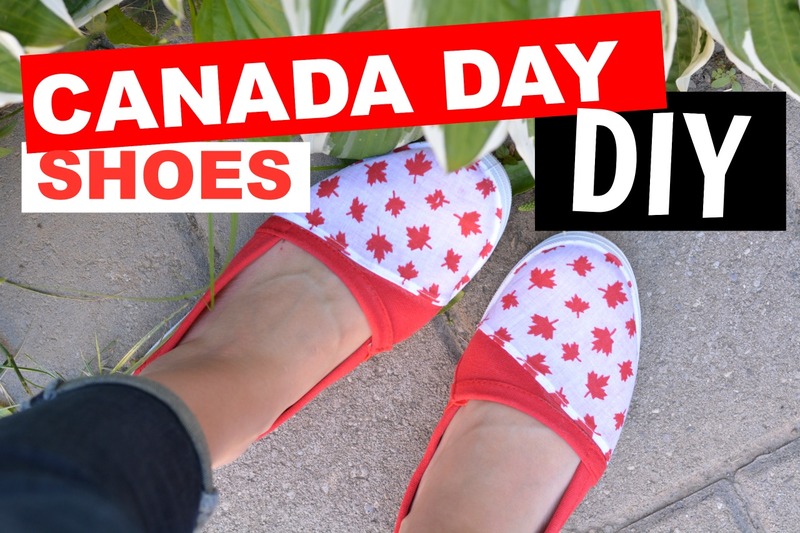 These DIY Canada Day Shoes are a great example of a DIY gone bad but turned good again! Thank goodness because I hate wasting a good piece of clothing!